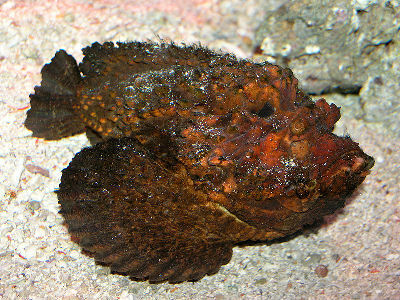 The Stonefish one of the most poisonous fish in the world. 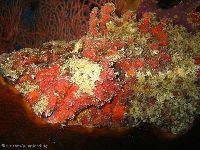 Stonefish usually live in shallow tropical waters. There are some species of Stonefish that can live in rivers. Most Stonefish stings occur because a person accidentally steps on the fish. Stonefish stings can be fatal if not treated. The sting of a Stonefish is extremely painful, much worse than a bee sting.